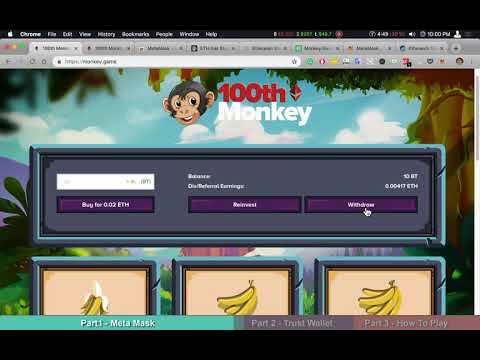 100th Monkey is a much needed breath of fresh air to the dAPP space. It is a revolutionary progressive pot game with 3 different styles of airdrops, mini-game block winners, mini-game dividend earners, progressive round dividends and then large round pots that will progressively get larger as people continue to buy in. The goal of the game is to create a fair opportunity for the players to play unlimited rounds at their leisure and not be limited by huge in-dAPP price increases or time limits. The contract is going to revolutionize how random numbers are created and used in the smart contract space.